We were fascinated by a recent piece in The New York Times about the controversy over handwriting instruction. The article thoughtfully summarizes work by neuroscientists demonstrating that learning to write by hand plays an important role in a number of developing neural pathways. Handwriting appears to have a positive impact on reading, idea generation when writing, and memory formation when taking notes in class. Keyboarding does not appear to have the same impact. Interestingly, manuscript and cursive writing each seem to provide different benefits, and research indicates that learning each style of writing leads to greater cognitive engagement than using only one approach. At a time when many schools are abandoning cursive instruction, this finding is particularly provocative. As our world becomes ever-more reliant on technology, it is important to develop a true understanding of the impact that writing by hand has on the learning process. In our practice, we speak with many parents who are unsure whether to belabor handwriting development when their kids genuinely struggle. Wouldn’t it make more sense to simply transition to typing since that’s what they’ll use when they’re adults, they wonder? 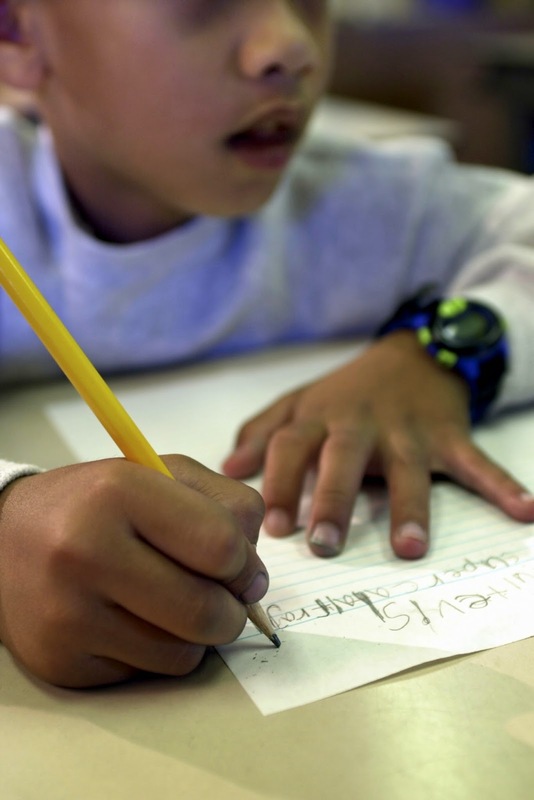 And, as the Times piece points out, the nearly ubiquitous Common Core standards suggest that children learn to hand write legible letters only in kindergarten and first grade; after that, the focus is shifted to keyboarding skills. Here at the Yellin Center, we often find ourselves considering “the genius of and versus the tyranny of or.” Simply supplying children with a list of accommodations (e.g. either do it this way or learn it that way) is often limiting; a better strategy is establishing a system of accommodations that works in conjunction with a carefully crafted instructional plan (e.g. do this and that, too). Some students need help with a mechanical aspect of a task to complete classwork and should be given workarounds to get through particular tasks. But that doesn’t mean those mechanics shouldn’t be practiced at a separate time. For example, a child who struggles to sound out words certainly needs to develop those critical decoding skills. However, it’s also important that she listen to texts that match her intellectual level so she can practice her comprehension skills and build a love of literature. Learning to decode and listening to texts is a much better approach than only working on either decoding instruction or using audiobooks. Children should learn how to write by hand, but if they are having difficulty with letter formation they should be given “bypass strategies” like having someone scribe for them, using speech-to-text software, or keyboarding, so their capacity for developing rich written output is not hijacked by their weak graphomotor function. It is essential, however, that kids continue developing handwriting “off-line”; as their mastery and automaticity grows, handwriting can be brought online and integrated into the writing process gradually.